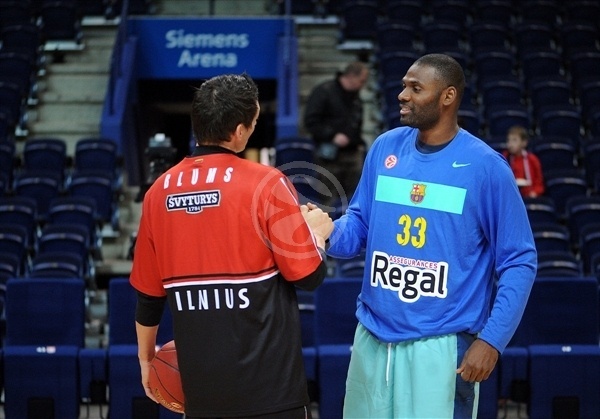 FC Barcelona Regal remained undefeated in Group D by topping Lietuvos Rytas Vilnius 49-67 at Siemens Arena in the Lithuanian capital on Thursday. 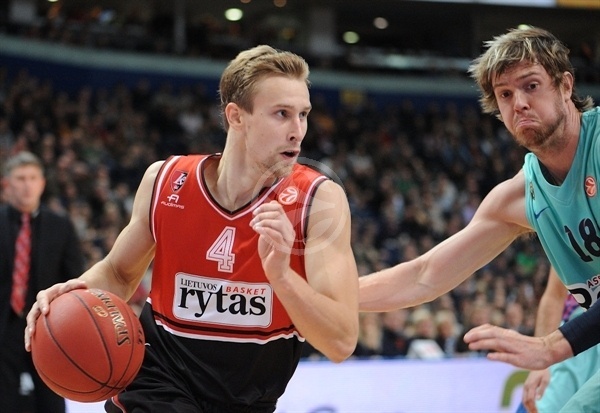 Barcelona improved to 2-0 in Group D, while Rytas dropped to 0-2. Juan Carlos Navarro led the winners with 13 points and Joe Ingles added 11 for Barcelona. 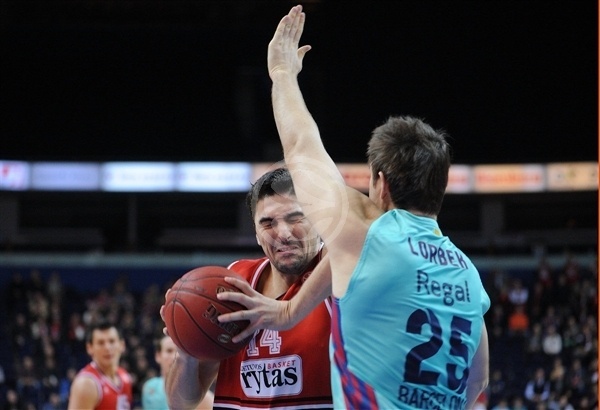 Leon Radosevic paced Rytas with 11 points. 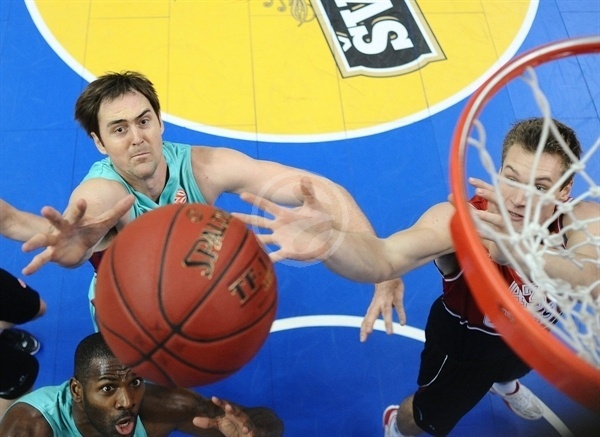 Pete Mickeal and Erazem Lorbek shined early to give Barcelona a 8-13 lead after 10 minutes. A jump hook by Nate Jawai boosted the guests' margin to 12-21 early in the second quarter. Radosevic and Ronnie Seibutis fueled the hosts' comeback as Rytas took a 32-31 edge after the break. It didn't last long, however, as Navarro took over late in the third quarter, getting some help from Ante Tomic to make it a double-digit lead, 36-47, after three quarters. Nothing changed after that as Barcelona kept a safe margin all the way until the final buzzer. Both teams struggled to score early, as Rytas committed 3 early turnovers and missed its first 2 shots. Meanwhile, a free throw by Ante Tomic was the game’s first point after more than two minutes. Predrag Samardziski got Rytas going with a dunk in transition, as Barcelona struggled to get Ingles and Mickeal involved. A close basket by Arturas Jomantas boosted the hosts' lead to 4-1. Lorbek stepped up with a jump hook that Ronnie Seibutis matched with a floating layup in the lane. Ingles hit free throws after Jomantas's third foul and Lorbek scored again to put Barcelona back ahead, 6-7. Mickeal buried a long two-pointer off the dribble, as Rytas struggled to score against the guests' well-adjusted man-to-man defense. Ingles swished a mid-range jumper for a 6-11 score. 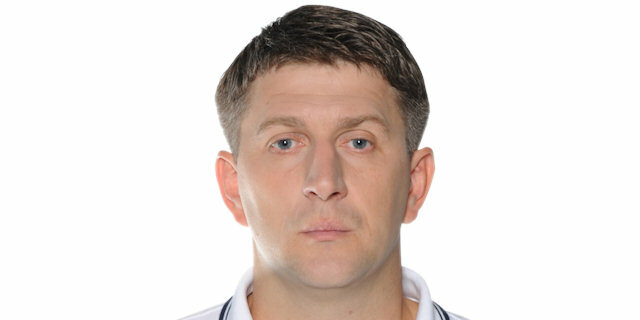 Rytas was held scoreless for more than four minutes, during which it missed 8 consecutive shots until Nemanja Nedovic stepped up with a big basket. Mickeal scored in transition to put Barcelona ahead 8-13 after 10 minutes. Deividas Dulkys buried a five-meter jumper early in the second quarter, but Nate Jawai matched it with free throws and a follow-up layup by Alex Abrines boosted the guests' lead to 10-17. Radosevic downed a mid-range shot, as Barcelona tried a more dynamic lineup with Navarro, Abrines and Marko Todorovic together. Navarro shined with a fast break layup and a jump hook by Jawai made it 12-21. Dulkys tried to change things with a corner three-pointer and Radosevic added a wide open jumper to get the crowd involved. Navarro silenced the crowd with his trademark 'bomba' and Todorovic scored around the basket. 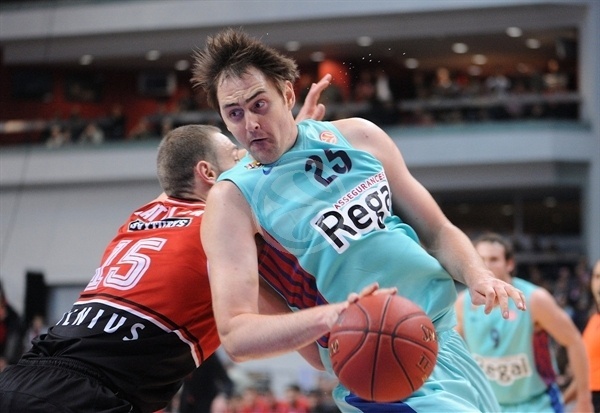 Radosevic singlehandedly kept Rytas within 20-25. The hosts improved their defense late in the first half and free throws by Mindaugas Katelynas and a wild driving layup by Seibutis got Rytas even closer, 24-25, forcing Barcelona to call timeout. A free throw by Janis Blums tied it before a buzzer-beater jumper by Lorbek fixed the halftime score at 25-27. Tomic dunked immediately after the break, but Blums bettered him with a bomb from downtown for a 28-29 score. A reverse layup by Seibutis soon completed the hosts' comeback, 30-29. Barcelona struggled to find the way to the basket due to poor ball circulation. Navarro stepped up with free throws after a technical foul against Seibutis, but a tip-in by Samardiski put L. Rytas on top again, 32-31. Lorbek shined with a three-pointer - Barcelona's first shot from downtown of the night – and Navarro copied him right after that as the hosts called timeout at 32-37. Mickeal capped a 0-8 run with a fast break layup before Dulkys answered with a five-meter jumper. Navarro followed free throws with an acrobatic fast break layup and an easy basket by Tomic made it a double-digit margin, 34-45. Rytas called timeout and Nedovic sank a jumper, but Marcelinho Huertas answered with an off-balance basket, good for a 36-47 Barcelona margin after three quarters. Deyan Ivanov hit a baseline jumper early in the fourth quarter and a driving basket by Radosevic gave Rytas some hope at 40-47. It didn't last long, however, as C.J. Wallace struck from downtown and added a catch-and-shoot jump hook to restore a 40-52 Barcelona lead. 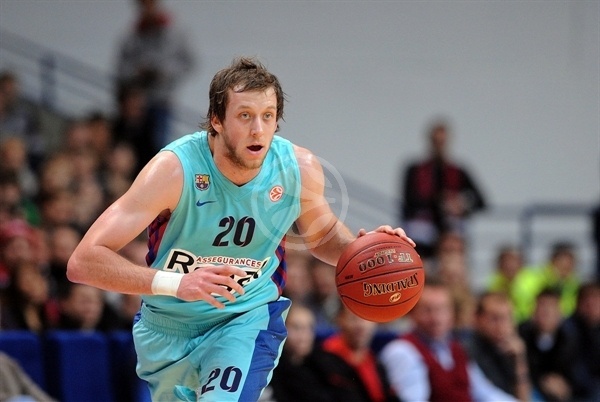 Steponas Babrauskas got the crowd involved with a six-meter jumper, which Mickeal erased with a close basket. Ingles scored around the basket, but Nedovic improved that with a three-pointer. The guests brought Victor Sada off the bench to improve their on-the-ball defense and started using longer possessions. Wallace added a driving layup and a close basket by Jawai sealed the outcome, 45-60, with over four minutes to go. Seibutis scored again and fed Radosevic for a layup, but it was too little, too late. Barcelona kept full control of the game and a dunk by Jawai allowed Barcelona to seal the win in style. "We managed to keep the score close while we played calm and organized basketball. But our young team lost the rhythm of the game in the second half. 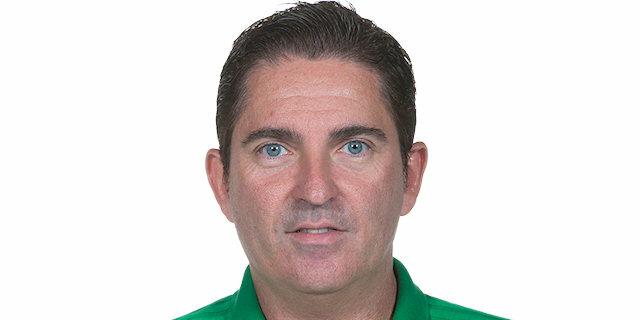 You can’t expect to win against such a great team like Barcelona if you make 5 turnovers in a row. We missed important shots and our defense was poor. Our team needs to improve many things." "We didn’t play as we expected but finally we won a very important game. In the first half we missed many shots, especially in the paint. In the second half we played better. The key to success was our defense and individual efforts."